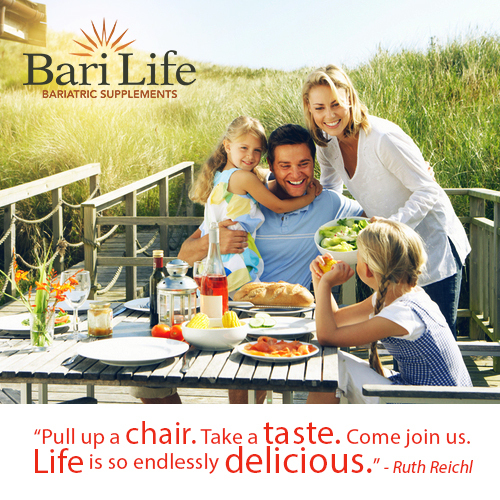 Bari Life Bariatric Vitamins and Supplements knows how important it is to eat right following bariatric surgery. Along with your bariatric vitamins, what foods provide the proper nutrients and also taste great? Quinoa, first domesticated by the Andean people 3,000 to 4,000 years ago, has become increasingly popular in the United States, Canada and Europe. It has been called a “superfood” because of its high protein content. Per 100 calories, quinoa’s protein content is higher than that of brown rice, potatoes, barley and millet. With its delicate texture, it is a great substitute for pasta and rice. Vitamins – quinoa seeds are rich in eight essential amino acids and vitamins such as magnesium and calcium. Quinoa is also high in iron and vitamin B 12. Low Glycemic Index – quinoa is 35 on the glycemic index, which is relatively low and similar to most vegetables. Low Calorie – one serving of cooked quinoa contains approximately 172 calories. It is a delicate balance between getting your daily vitamins, eating right and also eating tasty, delicious foods. High in protein and fiber, quinoa is not only versatile, it also tastes wonderful and has a nice crunch. Quinoa is as easy to prepare as rice and pasta. It can be substituted in dishes that call for pasta or rice. It can even be used in place of breakfast cereal. You can find quinoa at most health food stores and, increasingly, at most chain grocery stores and even Wal-Mart. Try incorporating quinoa into your diet. Once you do, you’ll wonder how you ever lived without this delicious and nutritious delight! hi! tunia you know you are my inspiration? I love your viodes they help me so much thank you for all your hard work in the WLS community. And something else you look beautiful !!!!!! !I love yor personality keep it up!! !